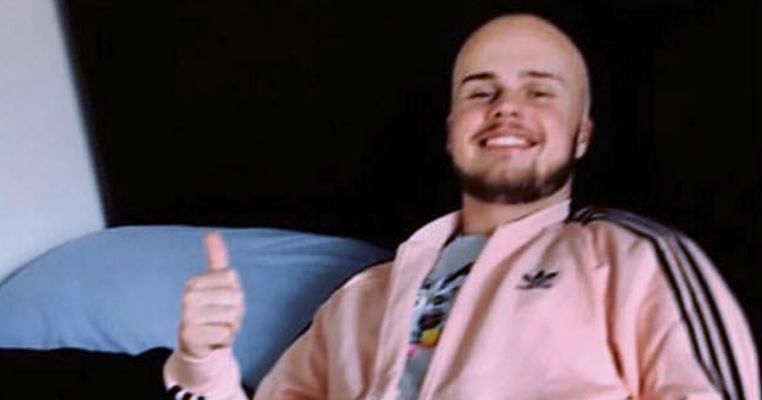 On Monday, The Manchester Tab reported that University of Salford student Archie Day took his own life on 5th October after a long battle with depression. Archie was described by his close circle of friends and family as "kind, thoughtful & compassionate", "a loud and charismatic character". He had also struggled with depression. Archie's death was condensed into a press release, manipulated by the tabloids under headlines that put Archie Day's death down to the loss of his iPhone. 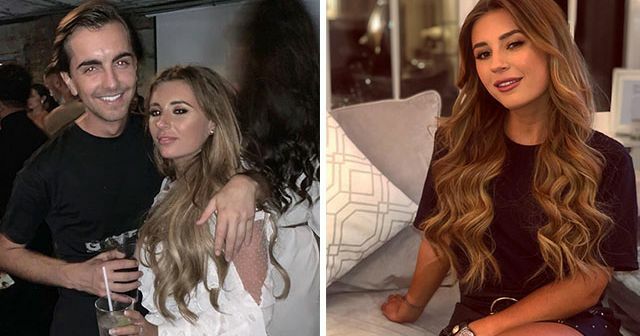 As reported by The Daily Mail, an inquest in Archie's death said he had been upset over losing his iPhone on a night out at Venue the previous evening. 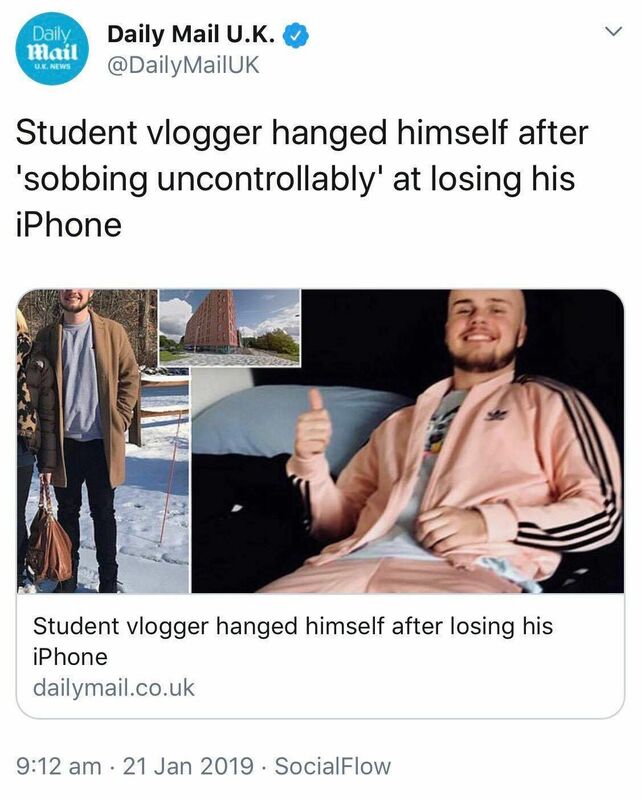 The original headline, which has since been altered, read: "Student vlogger hanged himself after 'sobbing uncontrollably' at losing his iPhone". 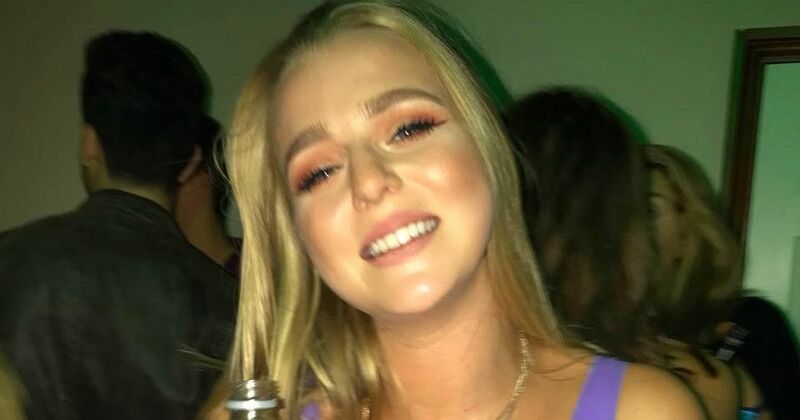 The Daily Mirror reported: "Drunk student found hanged hours after 'losing phone and sobbing uncontrollably'". 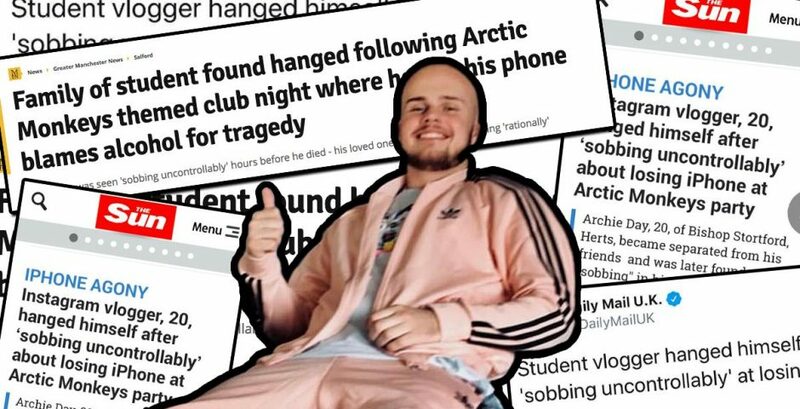 The Sun went with: "IPHONE AGONY: Instagram vlogger, 20, hanged himself after 'sobbing uncontrollably' after losing iPhone at Arctic Monkeys party". The Daily Mail article has amassed 107 comments, one of the top rated ones from 'Ilovefatherted' from Liverpool, says: "How very sad. This generation seems to be so ruled by social media and phones. It's so very worrying." Another from 'jac163' in Tampa, US says: "Your phone can be replaced, your life cannot. Rest in Peace and my sincerest condolences to your family." 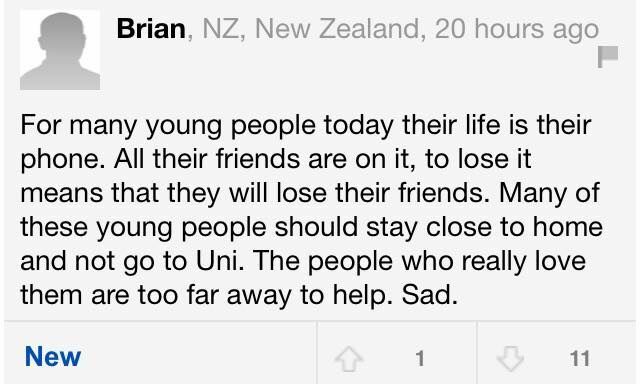 Brian from New Zealand went further, saying: "For many young people today their life is their phone. All their friends are on it, to lose it means that they will lose their friends. 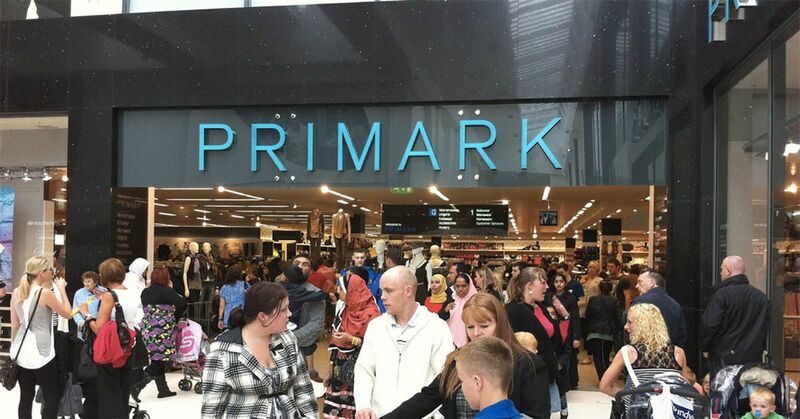 Many of these young people should stay close to home and not go to Uni." Headlines about Archie's death paint him as a typical phone-obsessed millennial. His struggle with depression is downplayed to a small mention in the fifth paragraph of the Mail's story. Framing stories like this – in a way that's specifically designed to trigger a certain type of Daily Mail commenter – is not only massively irresponsible, but it does a terrible service to Archie and his family. Archie Day was not technology obsessed, driven to ending his life because he lost his iPhone. Since the reporting of Archie's death, his dad Ken Day has come out on Twitter saying: "I'm his father and no, it had very little to do with the phone. 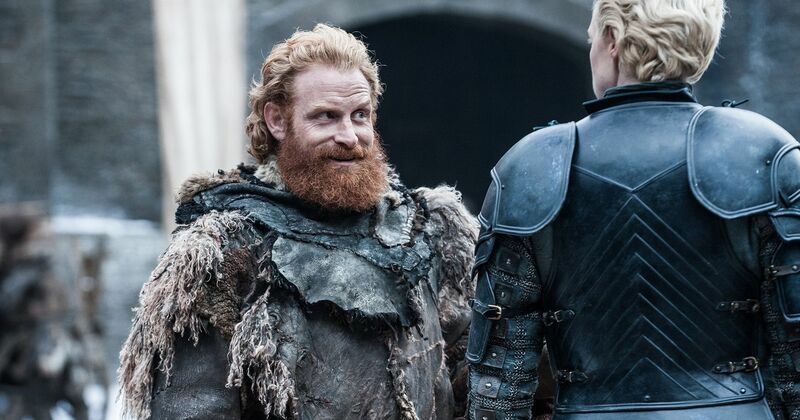 #friendsofarchie"
Suicide is an epidemic that is estimated to be the single biggest killer of men under 45, often the result of long battles with depression and other mental illness, an act of sheer fear and deathly impulse when the feeling of hopelessness outweighs the instinct to survive. It is a stigma that shocks us to our core when we hear about it, a feeling of breathlessness as the rug is swept from under our feet. So we bury the stigma of depression, ignore it, drown it in background noise, only breaking our silence to ingrain it into discourses of technology-crazed teens who, literally, can't live without their phones. 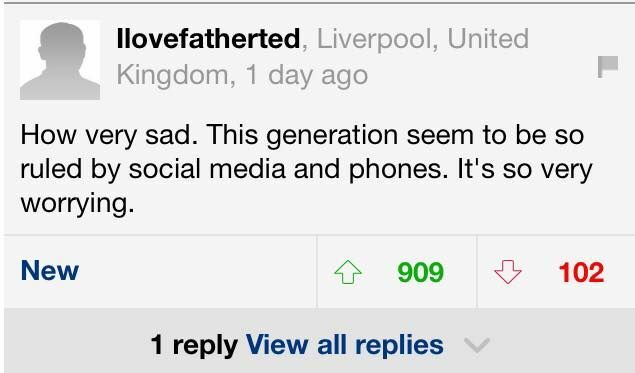 We absolve media portrayals of mental health among young males of responsibility by using the enigmatic, insentient and inanimate scapegoat of the phone, as if it's a semiotic for the uselessness of the "snowflake generation". Archie Day did not take his own life because he lost his phone. Archie was a charismatic, thoughtful, kind, vibrant character, who tragically died on 5th October after a long battle with depression. To suggest his tragic death is linked to the loss of his iPhone is not only to dehumanise his struggle with mental illness, but to do injustice to anyone struggling with it. 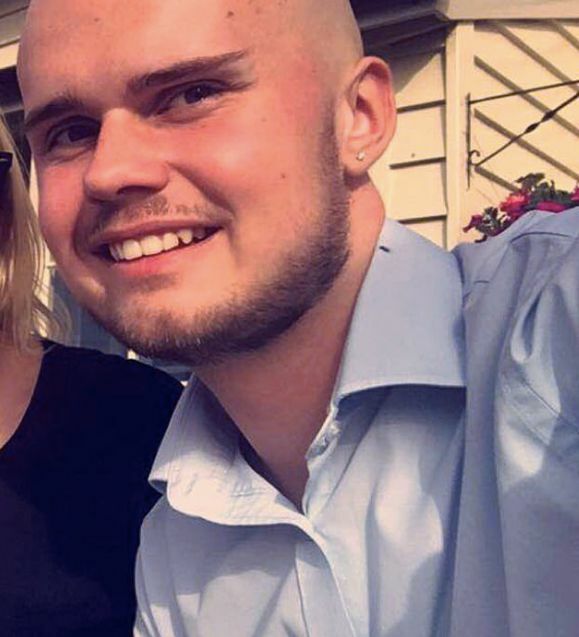 Archie's friend Rory has set up a JustGiving page, where he has raised over £5,000. 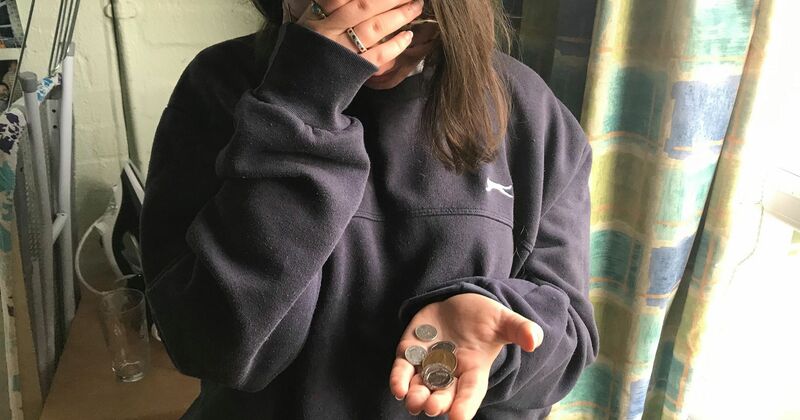 All donations will go to MIND – a mental health charity. You can donate here.